OverviewA polygonal space shooter featuring multiple selectable ships and 6 missions. 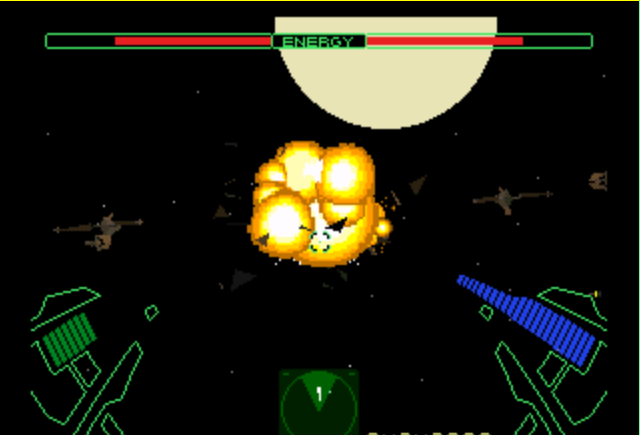 It's more of an arcade game than a simulation, but still features full freedom of movement during each mission. 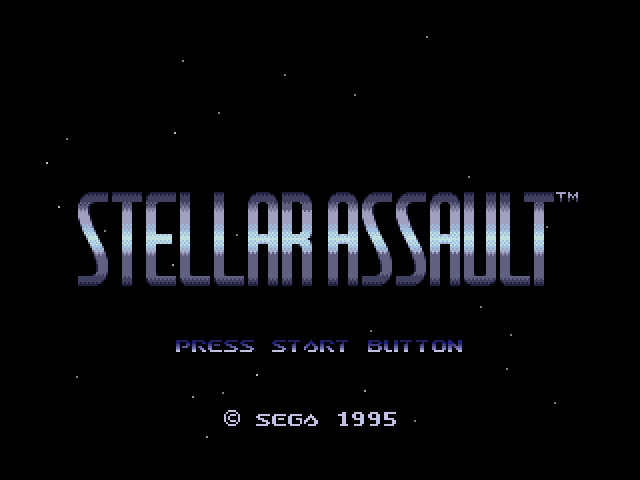 Shadow Squadran (also known by it's screen name "Stellar Assault) is a space fps (shoot'em up kill'em) fps. Each level you are given a different mission for example "Eliminate the tragets" and you go into hyperspace. shoot down the enemy's with your preffered button scheme and hold the fire button for a bomb. Be aware, that doing bombs will lower your energy shield pretty fast. In the options you can change the color of the enemy's ships and yours. You have 4 options when you start your game. The first two options are which ship you want (feather 1 or feather 2). The second two options are manual pilot or auto pilot.If you choose auto pilot then this game will be very easy and less enjoyable but if you choose manual pilot you can move around your ship. Overall i rate this game 4/5. The polygons really make this a refreshing and fun to play game. Now you can add videos, screenshots, or other images (cover scans, disc scans, etc.) for Shadow Squadron (32X) to Emuparadise. Do it now! If you haven't noticed yet, we have a retro game of the day feature (top-right of the screen) wherein we feature a new retro title every single day! Now, you can vote for your favorite games and allow them to have their moment of glory. 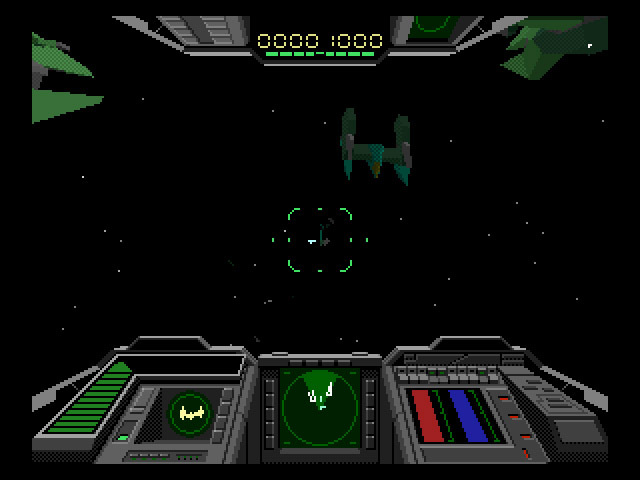 Click on the button below to nominate Shadow Squadron (32X) for Retro Game of the Day.